Jamie Kenmure: Hi Valeria, thank you for taking the time to have this interview with me. Can you kindly tell me a little bit about yourself and how did you get into chess? Valeria Panina: I am still attending school and next summer I will finish and plan to go to college to study to be a dental technician. I began chess at the age of 11. JK: I see you are from Voronezh in Russia, how did you find out about this tournament and what do you think about the conditions, playing hall and the organisation? 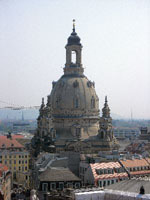 VP: For me it’s the first time I have come to Dresden, Germany. I have liked it very much so far. The organization regarding the venue, conditions like hotel and food has been excellent. JK: How long have you been playing chess for? VP: I got involved at school through the chess club that we had. For me the chess club looked very interesting. I began learning the sport and then went into the club and started playing. JK: Have you heard about the World Junior Championship for Disabled which has happened for the last 2 years in USA and would you be interested in playing in the USA in this tournament? VP: I am definitely interested in playing in the World Junior Chess Championship for Disabled. I like to travel overseas and to meet new people. I want to know more about chess and challenge myself against strong opposition, against new people, to develop my skills further in chess. This is my first time playing overseas here in Dresden and it would be great to play in the USA. JK: Finally, in your spare time what do you like to do? VP: I love chess, volleyball and art. I am interested in many things as I am opened minded. It depends on how I feel at the time. JK: Thank you very much for your time and good luck for the rest of tournament.